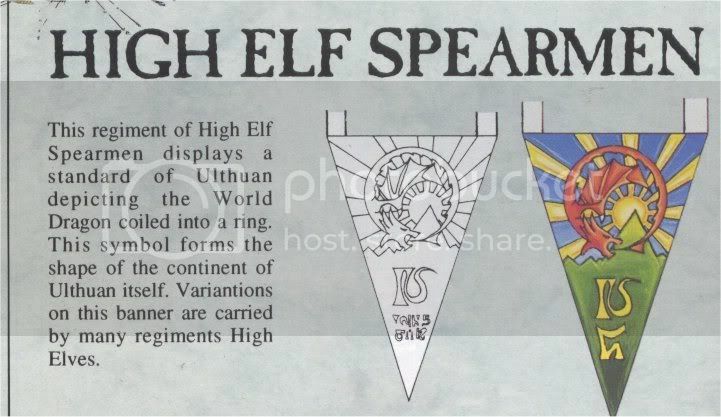 I haven't used the originals of those High Elf banners which I've managed to lay my hands on over the years. I keep them secret, keep them safe......... and use good quality printouts instead. By doing that I don't need to worry about any gaming table disaster destroying what is pretty much unobtainium these days. These are all Hi-res scans and will need to be adjusted for size in your printer software. The Banner of the Everqueen. This is the Banner that came with the old Tiranoc Chariot. gadzooks, methinks they are indeed glorious battle-tapestries my lady. 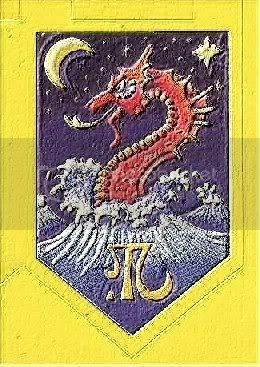 Ive got a whole bunch of these old sticky-back banners mouldering away in an envelope somewhere - I never really liked them to be honest, always found them to be a bit garish and cartoony for my taste. Ive taken to mocking up my own using various CAD programmes, I was thinking of posting some of em up to see what people think, so....... watch this space. BTW is the top banner here one of your own design?, i seem to remember you expressing a fondness for the 'Tears of Isha' elvish rune, this banner is sporting a particularly handsome one! No my Lord Cyrannoc, the first banner is the genuine article. It was only available in the Everqueen and her Maiden Guard boxed set and nowhere else. 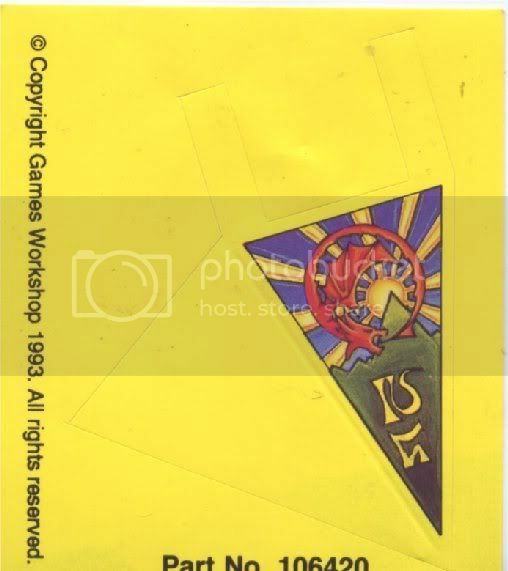 The later banners were somewhat less cartoony than the 4th Edition ones and I found that playing around with the banner scans in a graphics program could make them a lot more acceptable. 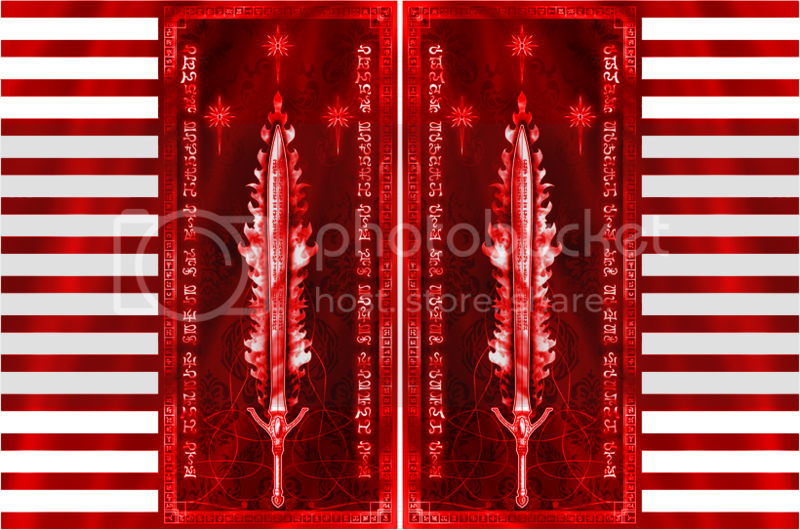 EDIT: Just an example of what a quick spot of texture work can do with one of these banners. I'm wondering myself where that unknown banner came from. The heraldry is similar to the Tiranoc's..interesting. Thank you for sharing these great relics of the past. A unit of Sapherian Spearmen, part of the army hero (and my own namesakes) retinue, called forth to aid The White Tower in its time of need! Another unit of 20 archers drawn from the citezen levy of the local villages and towns. I have 6 units of 10 strong swordmaster units in the army, each acting as a detachment that has very different character and a specific tactical role on the battlefield. This order act as the personal bodyguard to Lord Cyrannoc, and also act as the keepers and guardians of the White Maze which lies about the great tower of hoeth, only these swordmasters are blessed with the secret of the maze, and are bound by an oath to protect and keep it. These swordmaster are trained by the Archmage Menedal to summon forth silver flames about thier blades, some of the more skilled members of the order can even cunjure flaming silver projectiles which may be hurled at would be assailants. This order of Swordmasters undergo a form of ritual mutilation - the swordmaster must sacrifice his or her strongest swordhand, and have it replaced by a magicaly enchanted golden gauntlet that augments the skill of the swordmaster far beyond usual limits. This order is led by Uriel of The Annuli mountains, he is bearer of the infamous "white sword" or "Sword of White Woe", this sword has always been carried by the head of the order, the head of the order upon accepting the honour of bearing the blade must also accept the terrible fate that the blade is destined to exact upon him or her. This is one of the oldest swordmaster orders, and the hereditary peacekeepers of Ulthuan, the swordmasteres act as judges and marshals throughout Ulthuan meting out justice in the name of Hoeth, they each bare a saphirre sword as symbol of thier noble office. The order of Lileath are strange swordmasters who have pledged thier souls to serve Lileath the goddess of dreams and portents - In return Lileath grants the swordmasters incredible precognicant powers, gifting the swordmaster with dreams on the eve of battle that will aid them in the fight to come. these noble paladin-knights are drawn from the most highly skilled swordmasters of the White Tower and formed into a unit of mounted cavalry and tought to wield the cavalry glaive (a form of double handed cavalry sword) - each member of the order is entrusted with protecting one of the eleven Talismans of Hoeth and have pledged themselves to serve the god of Wisdom and Learning until thier dying breath. this order of silver helms knights are made a gift of a single enchanted blue pennant in recognition of bravery and services rendered to Saphery, it is said that the magical pennant grants the knight protection from evil magic. These silver helm knights decorate thier helms with a single white pegasus pinion gifted to them from the pegasus lord Faridax Fleetwing the pinion is the symbol of thier order and is said to grant them the swiftness of the pegasus charge! So, thats about it really, hope people like em?, (alot of credit has to go to some of the fantastic artists on Deviant art who have provided some of the source images and plenty of inspiration) - im currently working on my Lothern themed army, and having loads of fun getting all nautical with the banner and color schemes. Edit: Could an admin sticky this thread? wow!, cheers guys, like i said alot of credit has to go to the designers and artists on www.deviantart.com, for supplying alot of inspiration and rough material for me to trace/augment etc... - and, any of you who are lucky enough to be able to play Warhammer Online will probably recognise the sword designs from there. Yeah, Im hoping that one day soon ill be able to afford a decent digital camera, so that I can upload some pics of my army (some of em arent full painted yet, well,.... bits and bobs need finishing/touching up, im sure you all know how it is). The banners were designed to go with my sombre, slightly gritty Hoeth & Saphery colour scheme, (with lots of rich, slightly decadent gold and dark grey tracery on the fabric) I have tried to match the colour mixes and washes as close as possible, all the banners have been printed out on high quality textured fairly thin cardstock. then they have been glued back to back, and touched up with some colour-matched paint where the card edges show. Its amazing how well doing it like this seems to work - it really ties the whole army together and the plan is to carry some of the thematic elements and styling through to my other themed armies, in order for me to be able to mix and match each distinctive unit depending on what kind of sythesis of army I need to field. That way each different unit wont feel out of place in a different provincially themed army. As I said, as soon as I get round to finishing the banners Im working on for my Lothern & Eataine themed army I will post em up for you guys to see. Banner of the Lothern Hawkship "The Grey Nomad"
This is the battle banner of one of the two hawkship crew cohorts that form the expeditionary force of Prince Enarion of Lothern. This is the banner of one of the bettalions of The little known "Gateguard of Lothern" - These native Eatainian elves serve as the permenant garrison of the gates of Lothern and are charged with watching over the ancient portals that allow entry to the glorious shining capitol of Ulthuan. these guys are basically repainted 5th edition Phoenix guard with seacloaks and brass helms, (I intend to use them in games as proxy Phoenix Guard). Hopefully ill get round to finishing them off sometime soon. 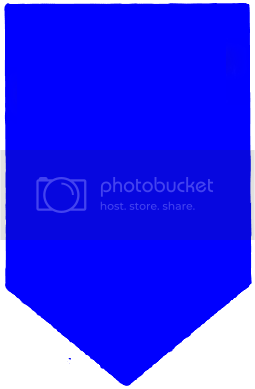 This is a Bitmap file so be patient. These ones are for Chaos, - only they are from the 'Battle Masters' game that GW made the model figures for. If ever you get tired of constant edition changes, arguements over rules and silly FAQ's, go and play Battle Masters and delight in its simplicity. These are thumbnails for Hi-res scans btw. 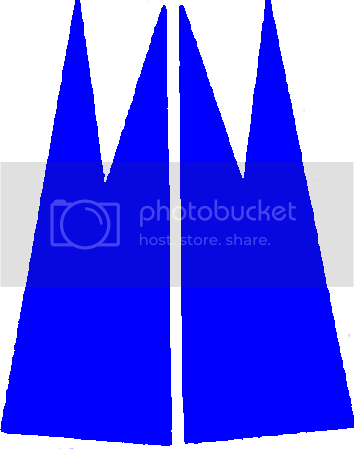 I made four of the banners into basic shapes which you can use and edit on the computer. @ Si'anelle of Avelorn: If you have any objections to these then please say as it doesn't take much to remove them. I wanted your permission to use them. Last edited by Burning Sun on Wed Sep 09, 2009 5:28 pm, edited 1 time in total. Confirmed that I'm happy with the size of pictures via PM. Nice colour switch on my banners Clarkie. by all means feel free to use my banner designs if you like them enough, all I ask is that when your opponents/allies ask where the heck they came from you tell em you got em from me on ulthuan.net - simples! I've renamed this topic since its not just about the old banners anymore. 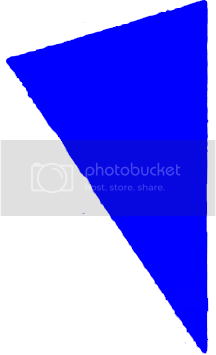 Please do contribute whatever banners you create - better yet if its printable like the ones we have so far in the last few posts. Of course if you post an image here, it has to be either your own personal creation or have the authorization of the artist - no plagiarism and no posting copyrighted material. Well im really no good at banners and have lots that are just moulding away. So if anyone has any tips and hits please tell. Cyrannoc what a great numbers of banners... I'm inspired!! I have a great High Elf army from GW and it is still growing my only problem were the Elven banners, but seeing yours i have ideas enough. Thanks for sharing.. I originally joined the forum because of this topic. 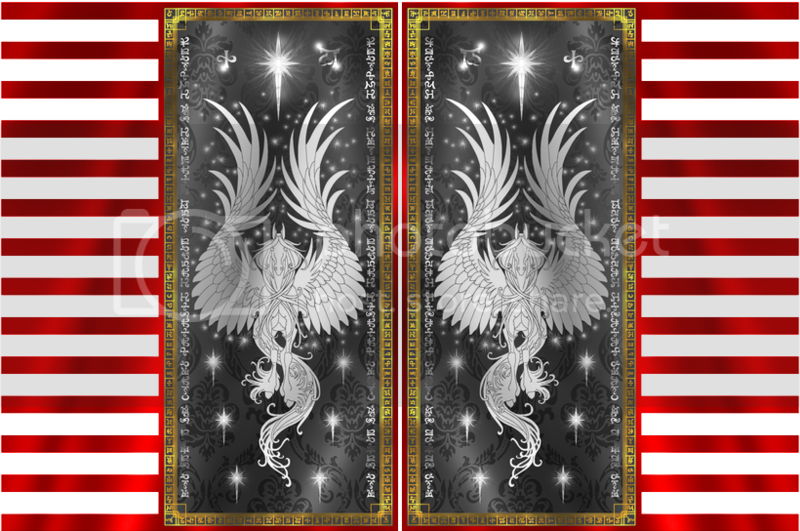 The banners that have been created are amazing to say the least and I just wish i was creative enough to make some thing as elegant as the Saphery Banners...they are just magnificent! But seriously, you can print these off, use them for ideas or copy them and paint them yourself. I take a piece of paper and draw my design in pencil then paint it on. 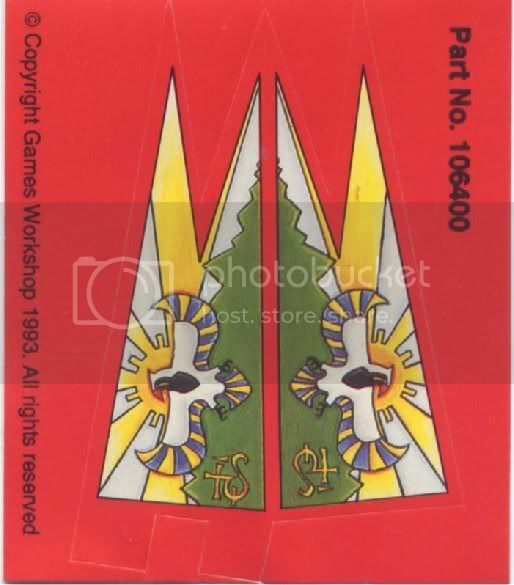 Also, you can get your hands on some printable decal sheets in White or Clear, you simply print the image you want in full colour then transfer it onto the banner or shield or cloak or hem you want it on. You can then go over some of the image in paint to blend it in and to dull the shininess down, you can also buy a dullers coat or Matt finishing paint to coat the transfer in, there are also a selection of other mediums that help get the effect you need and want: a softening agent that's great for transferring the transfer on an area with a lot of creases or bends, a series of coating agents like gloss and matt, and ones for long lasting durability too. The best thing is you can create exactly what you want without having to freehand the idea onto an uneven surface, it's great that you can sketch, colour, or even "borrow" anything you want and have it transferred perfectly onto whatever you want. I have the old Color pdf ones from 5 years back...you can only find the black and white ones now on the GW page. Why is this thread no longer stickied? BRING IT BACK!!!! To reduce the amount of stickied posts a new 'Index' thread has been made, this thread is linked in there. Humm, I should scan some of mine and add them to this I think. I have a few of the one's that are not here. And old topic, but a good one I believe and with the new armybook and activity, a little threadomancy is warranted. Since I don't have the foggiest when my Heraldry book arrives, can you send me the scans of the banners please?